Donald Trump is not having a very good week. First, some of his tax returns leaked to the media, showing the country the real story behind his image as a successful businessman. It also showed us that he very well may have avoided paying income tax for almost 20 years. Now, we’re learning that he picks foreign made materials for his building projects. Trump talks a big game on creating good manufacturing jobs in the United States, but his business practices say otherwise. 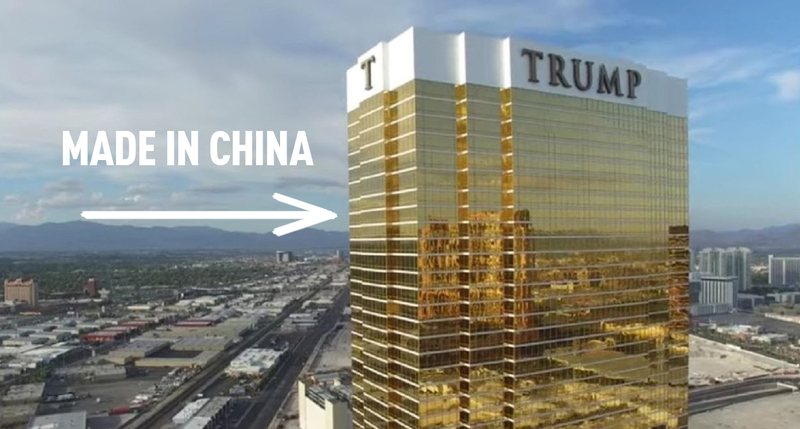 A new Newsweek study shows Trump purchased steel from Chinese manufacturers rather than from U.S. producers, in at least two of his three recent construction projects. Did it somehow slip his mind there are steel manufacturers in Pennsylvania, Ohio, Michigan and Wisconsin? This should all make for a very interesting second Presidential debate on Sunday. Each week, we recognize an outstanding local union for their efforts in recruiting volunteers to help get out the vote and talk to voters about endorsed candidates and ballot measures. Since we missed last week, we’re bringing you TWO local unions of the week today, ATU 757 & Ironworkers Local 29! Thanks for your work! If your union is interested in hosting a phone bank, or would like to participate in any other voter outreach event, reply to this email and we’ll get you the tools you need to recruit volunteers. How did your legislator vote on the issues that impact working people in Oregon? Today we’re releasing our 2015-16 Legislative Scorecard which includes rankings of every Oregon State Senator and Representative, a detailed explanation of how our ranking system works, and our Legislator and Freshman of the Year. Head over to oraflcio.org to check it out, as well as our current endorsement list. 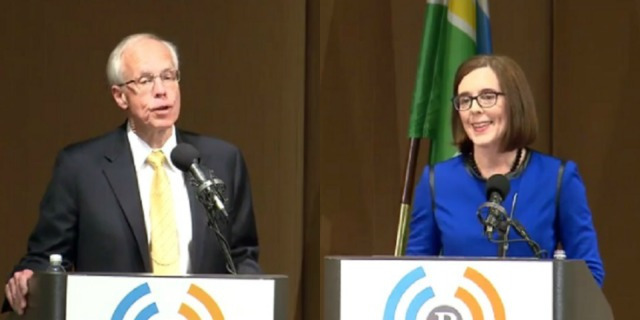 In case you missed it, gubernatorial candidate Bud Pierce has drawn national scorn due to his shocking comment about women during last week’s debate with Governor Kate Brown. Pierce implied that instances of pay inequality and domestic violence are less likely to occur when "a woman has a great education and training and a good job. Women who are most vulnerable are those who have no place to turn, no family around them." Locally, his comment drew criticism from lawmakers like House Majority Leader Jennifer Williamson and State Representative Carla Piluso, who served six years as Gresham’s police chief. The Oregon AFL-CIO endorsed Governor Brown at our last convention, and we maintain that Bud Pierce doesn’t have the experience, and clearly lacks the judgement, to serve as Oregon’s Governor.